Johnathan Thurston believes it will be on par with representing Australia. Preston Campbell will celebrate it like a corroboree. And Benji Marshall just can’t wait to play alongside his hero – Darren Lockyer. The NRL’s inaugural Indigenous All Stars match, against an NRL All Stars team selected by the public and coached by Wayne Bennett, will kick off the 2010 rugby league season. The brainchild of Campbell and his Gold Coast Titans chief executive Michael Searle, the February 13 clash will be played at Skilled Park and mark the second anniversary of Australia’s apology to the Stolen Generation. Campbell captained the DreamTime team which defeated the NZ Maori in a memorable World Cup curtain-raiser last year, and believed it meant so much to the Aboriginal community it should be repeated. “I was so proud to put the jumper on last year and traditionally we don’t do that stuff any more when you get together and celebrate (being aboriginal) and personally I look at it as a corroboree,” said Campbell, who will again captain his team. 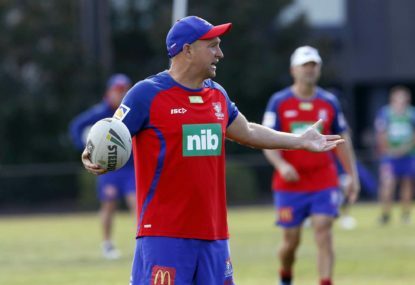 Searle on Wednesday applauded the efforts of indigenous players for driving the concept which was quickly embraced by the NRL and appears set to be an annual showcase of the game. North Queensland skipper Thurston, likely to partner Scott Prince in the halves, looked upon representing the Indigenous All Stars as big an honour as playing Test or Origin football. “Equal to an Australian team, definitely,” he said. Thurston admitted to feeling great disappointment at missing last year’s indigenous game due to his World Cup commitments. “To see the pride in their faces it made me feel like I needed to be there as well,” he said. Proceeds from the match go to community programs and grass-roots indigenous activities. The public will vote on 16 vacant positions in both 20-man squads for the match, which will feature an unlimited interchange. The NRL All Stars teams will contain the captain and vice-captain of the Australian and New Zealand Test sides plus one player from each of the 16 NRL clubs. 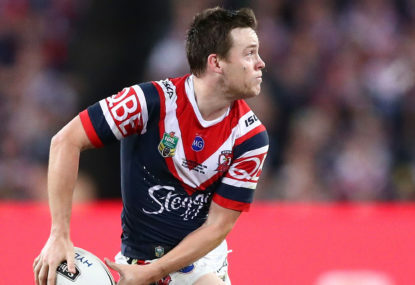 Kiwis skipper Marshall, who grew up on the Gold Coast, said it would complete a life-long dream to partner fellow five-eighth Lockyer in the NRL All Stars’ halves. “He was the only player I wanted to play with in my career and I didn’t think I’d be able to do that, now I can,” he said. Possible Indigenous All Stars team: Matt Bowen, Nathan Merritt, Greg Inglis, Justin Hodges, Jamal Idris, Scott Prince, Johnathan Thurston, Carl Webb, Preston Campbell (capt), George Rose, Tom Learoyd-Lahrs, Sam Thaiday, Willie Tonga. Res: Jamie Soward, Wendell Sailor, Yileen Gordon, Cory Paterson, Rhys Wesser, Chris Sandow, Daine Laurie. The New South Wales Blues are in the unfamiliar position of coming into a State of Origin series as defending champions, but that doesn’t mean there shouldn’t be any changes to the Brad Fittler’s side when he names it next month. 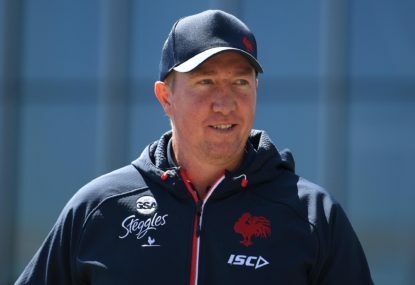 Coaching the Roosters is not an easy gig. They are a club that measures success in terms of premierships and grand finals. 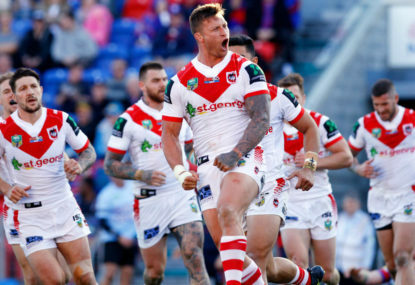 The biggest match on the rugby league calendar is nearly upon us, and it brings together two in-form teams in the Sydney Roosters and St George Illawarra Dragons at the iconic Sydney Cricket Ground. The key moments of NRL Round 6.